This edition of "Put The Boot In" has been posted per request from the city of Buffalo, NY. The originator of all things "Rock Room", "Sick Dude Brad" has asked me to review a field recording that only circulated this past July after hiding out for over forty years. 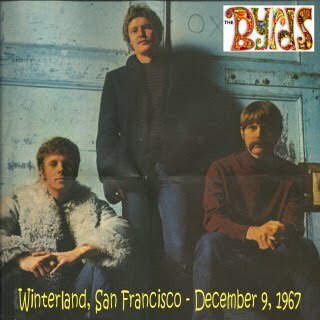 The recording is of The Byrds at San Fransisco's Winterland December 9th 1967. The unique thing about this audience recorded tape is that it features The Byrds as a trio. Minus David Crosby, Gene Clark, and slightly before the appearance of Gram Parsons, this recording is a rare look at The Byrds during a time of major upheaval. 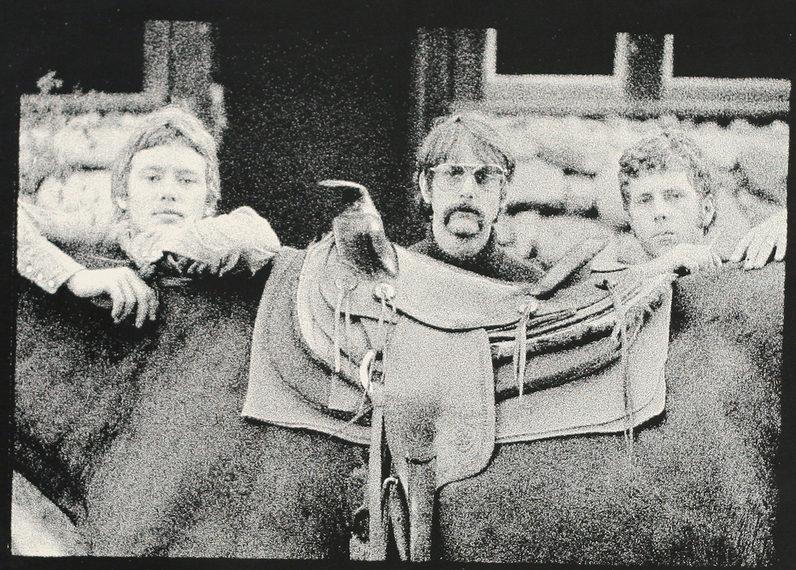 The line up at this point is Chris Hillman on Bass, Roger McGuinn on guitar, and Michael Clarke on drums. Some folks believe it sounds like there is another guitar other than McGuinn's on the recording. I disagree with this assumption. I believe that this is a fully amped Chris Hillman holding down the bottom end with some distortion to make up for the loss of David Crosby's rhythm guitar. The listener can judge for themselves.This show took place on the weekend of December 8th and 9th at Winterland with the line up consisting of The Byrds, Electric Flag, and B.B. King. This field recording is purported to be a fragment of the early show on the ninth. Evidence that supports that is McGuinn's comment at the end of the tape "We'll be back in about two hours". As for the recording of the show, it leaves much to be desired. It is a distant mono recording with unknown mileage as far as generational loss. It contains only 24 minutes of the performance. But what is does offer, is many of those special moments that all "Rock Geeks" pine for. The elusive jewels amongst the crud. With careful listening these moments be found among the sonic anomalies of the tape.It took me about five minutes of concentrated listening until I was fully tuned in and transported to the Winterland arena on that winter afternoon. All things considered, this is a remarkable recording I fell lucky to have access to. The tape opens with an already in progress "Feel A Whole Lot Better" sung confidently by McGuinn. Roger's Rickenbacker chimes spring water clear through the post summer of love air. His guitar stays up front in the recording for the whole performance. But it is Hillman's bass that is the driving force behind all of the songs on this recording. Always underestimated and under appreciated Hillman proves his worth during this performance. While somewhat buried at first, when I turn my ears to the lower frequency he lays down elephant tracks on even the quieter numbers. "Feel A Whole Lot Better" eventually segues with a bell like echo into "Satisfied Mind". A tune covered by the Byrds since there earliest days, this is a well played version regardless of the vocals being somewhat distorted. Next comes a one minute fragment of "Have You Seen Her Face" which is exciting and well played enough to rope me in. Then just as suddenly, it cuts me off just as McGuinn's solo starts. Ouch. Oh well. In my opinion the most wonderful moment of the tape is the huge version of "My Back Pages" that comes next. Again the tape cuts in mid verse, but what we do get in its entirety is the mammoth psychedelic maelstrom that winds its way out of "My Back Pages". With shades of Miles Davis's "Milestones" emanating from their vibrating instruments, the trio of McGuinn, Clarke, and Hillman whip the crowd in to a frenzy with a tuned in instrumental outro. Highlighted by glittering stabs of McGuinn's Rick, and underpinned by the throbbing rhythm section of Clarke and Hillman, this is the peak moment of the tape. McGuinn's solo is made up mostly of block chords and ringing "raga" like string hits, but is nonetheless extremely effective in its emotive qualities.This jam finds The Byrds locked in, and spinning in a multi colored globe. The Byrds soar over Winterland, and come crashing to earth as one unit as they segue into "Baby What You Want Me To Do". Hillman is all over this one, as the Byrds move from psychedelic messengers, to swaggering, swilling, blues singers. With a gait that struts, The Byrds stomp their feet through "Baby What You Want Me To Do", which we get in its entirety! I let out a deep breath after that one, and look at the track listing anxious for what comes next. What comes next is a smoking version of "Renaissance Fair" that continues the tight ensemble playing. This is also a complete version of the song! Every instrument is up front and clear, which makes this another peak offering of the recording. 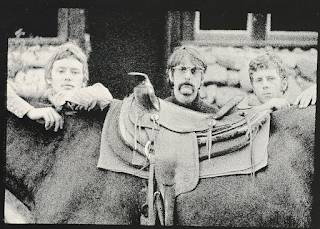 A nice snapshot of the "The Byrds" during such a definitive and changing era. The "Eight Miles High" that follows is started with a startling rumble of Hillman's bass, and he playing the well known intro figure. Unfortunately the song is not complete and some of the vocals are a tad flat. I feel like this recording has already given me the magic that it contains. The performance then closes with a textbook reading of "So You Want To Be A Rock and Roll Star" which is found in its entirety. This is a crisply executed ending to a performance that has been a lift to listen to. Sound quality is never the deciding factor for me whether to listen to a field recording or not. The most legendary performances are often obscured under years of dust and tape warble. 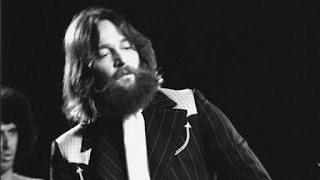 Patience, and a love of the historical rock moment are the only required prerequisites for enjoying some forty plus year old audience recordings. I'm thankful for the taper who had the foresight to record this performance before it was in vogue to do so. I am also thankful for those who share recordings like this one to future rock listeners, so that the music continues play on.